I need say no more. After the debacle of series 8 I hope they get it right this time. "Step up to Red Alert!" "Sir, are you absolutely sure? It does mean changing the bulb. " 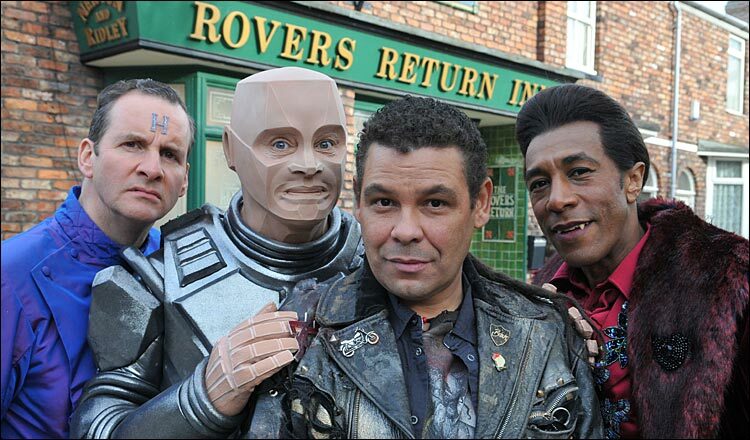 Yeah, apparently there is a Coronation Street tie in with some of the characters having cameos in the Red Dwarf episode. I really hope it is good and funny and doesn't turn into a self parody. I noticed Doug Naylor has written the Easter special so there is hope! Perhaps they will find a wormhole that goes back in time to find Dave Lister has lost his memory and now stars in a popular TV soap?